Did you know that freshwater fishing is the most popular kind of fishing with 38.1 million people participating each year? Whether you’re looking for a hobby or you love trolling the shallows, then you need the right motor. Buy the wrong boat engine, and you’ll scare the fish away before you ever find them. So let’s set you up for success with a quick guide to finding the right trolling motor for your flats boat. There are two places to mount your motor, either on the bow or the transom. Motors that mount on the transom can adjust easily, so they are always at the right depth and angle. If you have a small watercraft or lighter sailboat, then your trolling motor can double as an auxiliary motor. Then it can mount on the transom while you use your tiller to operate. Bow mounted motors are better if you fish on the foredeck of your bass boat or in an open bow rider. Minn Kota trolling motors are great for this type of mounting because they have spring loaded mounts. This prevents damage from the groundings. Make sure you buy the right motor for the type of water you plan on fishing in. Saltwater motors are going to have strong seals and corrosion protection. You’ll need to measure your boat to make sure you have the right length shaft. Measure from where you want to mount your motor to the water. Then add 16 inches for MotorGuide or 20 inches for Minn Kota. Look for the motor with the next closest measurement. If you know the water you fish in is typically rough, then look for a longer shaft. This will ensure that the prop stays in the water through the pitching and rolling from the waves. Now that you know your shaft size, you need to know how much thrust you need. Trolling motors have pounds of thrust ratings. The higher the voltage, the more thrust you have. Common trolling motor sizes are 12V, 24V, and 36V. The most powerful of trolling motors can produce over 100 pounds of thrust. That’s enough to move a pontoon boat. Erring on the side of bigger and stronger is a safe bet. Stronger motors tend to run more efficiently when you run at low speeds. They also provide you with a safety net in the event you encounter strong currents or wind. 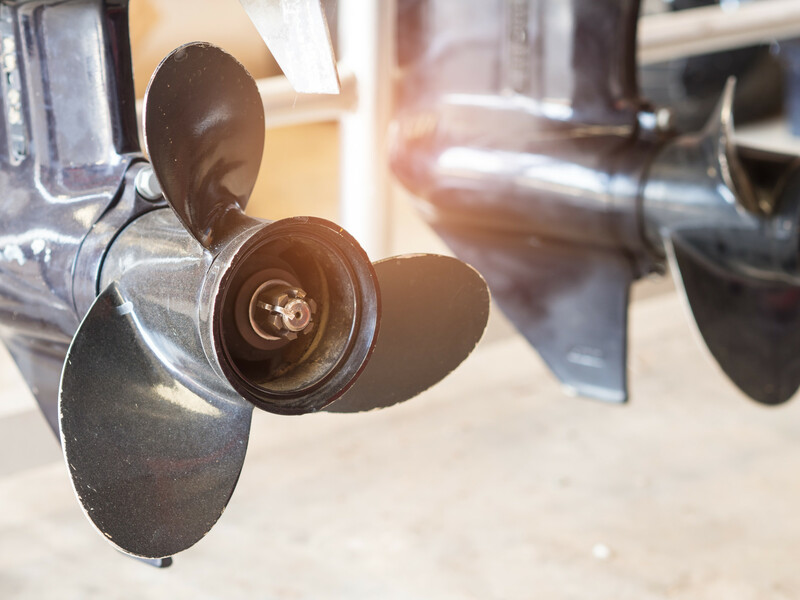 A safe size is five pounds of thrust for every 200 pounds of your boats overall weight. Now we just told you bigger is better, but bigger motors require more power. Check the amp draw of the trolling motor you want to get. Make sure that you will be able to charge the batteries while underway. This means you’ll need to be able to have the battery power on board to charge your motor. You should be able to buy the right sized trolling motor for your next fishing trip now. Remember that buying the right sized boat engine isn’t just about getting around while fishing. It is important for your safety that you have a motor that will get you home when the weather and the water get rough. Go test out your new trolling motor by planning a Chesapeake Bay road trip.